I never post on social media on Saturdays or Sundays. I’d stand on my pedestal and say, “The weekend is reserved for my family” but the truth is I’m just a little bit lazy and I like to sleep in. I couldn’t sleep this past Saturday so I shuffled into my office, threw on some headphones and started listing to music and talking to God. Before I knew it, weeks of pent up tears started streaming down my face. 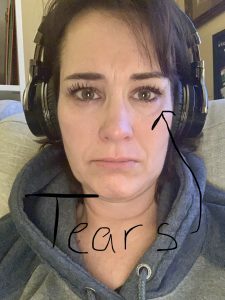 I had a pile of tissues by my side before I realized the kids were going to be up soon and surely they would think I had turned into a vampire if they saw the dark pit of smeared mascara under my eyes. I grabbed my phone and took a selfie so I could see the damage. The resulting photo was pathetic. 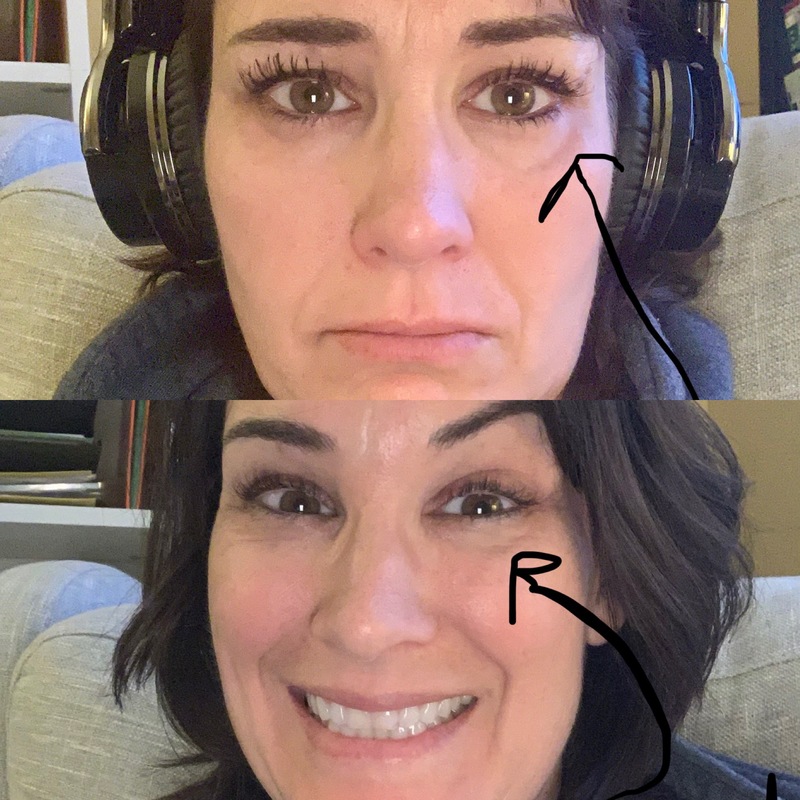 No mascara trail, but I certainly didn’t look well. I looked like a was… well, sad. Defeated. Out of positive vibes and prayers and answers. I could hear in my head the many words from the past few weeks. You’re handling this so well. Don’t you ever just lose it? You sure are being strong for your kids. In that moment of staring at that photo, I knew I had to tell the truth. We are called to be both brave and kind. I talk about kindness all the time. It’s my favorite subject. I sometimes forget about the brave. Not the “brave” that says we need to hold it all together, but instead the “brave” that says Let people see the real you. Give them permission to be authentic and vulnerable by doing it yourself. Remind them that no one has it all together. We are each just doing the best we can on any given day. Today, I feel confident my basketball-coaching husband will get another job quickly and we’ll all be grateful for this little hiccup because it will have led us to a wonderful new place. 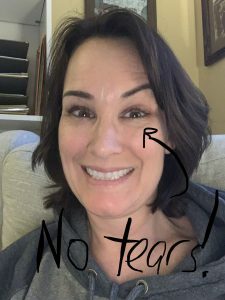 See no tears! Tomorrow I might be scared again. Today you might be strong and full of faith. Tomorrow you might falter. That’s okay. You get to do you. Be you. You just keep showing up. I’ll just keep showing up. We’ll both try to sprinkle a little kindness along the way so it doesn’t become all about us. And together, we’re going to show the world what it means to be brave and kind.